What a really amazing electric thunder storm that is. 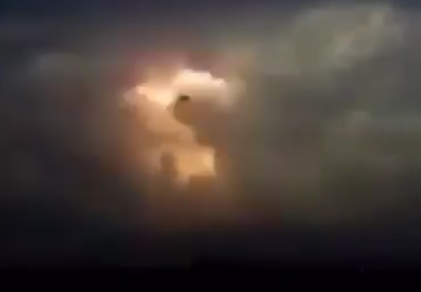 Just capturing that natural event on video alone would be great but (probably) unbeknown to the person videoing this "wonder of nature" there was another visitor just as transfixed by the raw beauty of this electrical thunderstorm. And it wasn't another weather enthusiast but instead it was a UFO or Unidentified Flying Object literally cruising by the storm. 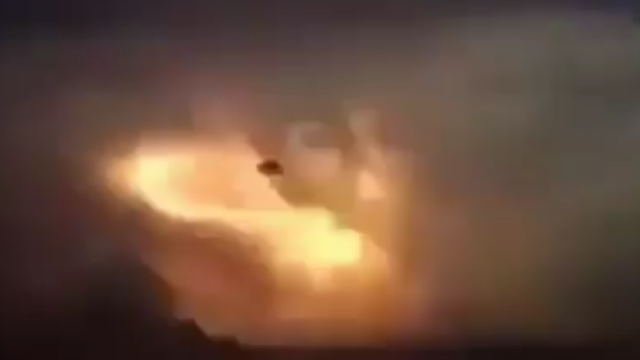 It's topped off by a UFO that seems to be either A - checking it out or B - it's caught up and transfixed by it, and C - it's taking energy from these lightening bolts or strikes just like they did in this video (link is here to the post)? Let's not forget though, that it could very well be and I mean a "very well" made hoax, but I'm not to sure as it is fitting in to my own checklist. It's not a comprehensive list but it's based on common sense and the gut feeling that we all get when we have that very first impression - and still as far as I can tell this is standing up to scrutiny. 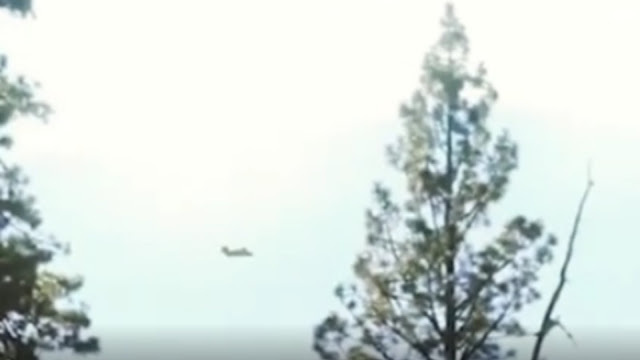 It is by far not the best quality but for what it lacks in overall quality it makes up for in the natural beauty and amateurish "eye witness" video which I really do think add's to the evidence of this been real. With such a dramatic backdrop as this one you'd really expect to see a massive silver or gold UFO with thruster's and lights etc (the bell's and whistles) over the top UFO but actually instead there's this unassuming, very dark "eye shaped UFO" slowly flying slowly past this electric thunderstorm from right to left. It could be mistaken for something else. It can hardly be made out. Why waste such a brilliant backdrop on a UFO you can hardly make out? To round it all off, It really feels like the person is genuinely videoing this but doesn't even know it's there! When I find one I'll post it. This is one of them times where I would say that if it is a fake then why did the hoaxers waste this very dramatic and very stunning backdrop? That for me again is another common sense approach to this cool video. This video is one that has got to leave an impression on you because of the brilliant illuminating and epic lightening strikes. It's a video where even the UFO is dwarfed by the immense and raw, natural power that is given off with every single lightening strike. The fact that a UFO is present makes this an absolute gem of a video. Please share this video and lets all get some answers, because I'm sure that there's someone out there who can figure this out completely or can see something that either you or me cannot see - once and for all! Sometimes it's like that as we do get in to a routine pattern of thinking and sometimes (but not always lol) the most important answer(s) is staring you or me in the face - but we just can't see it. 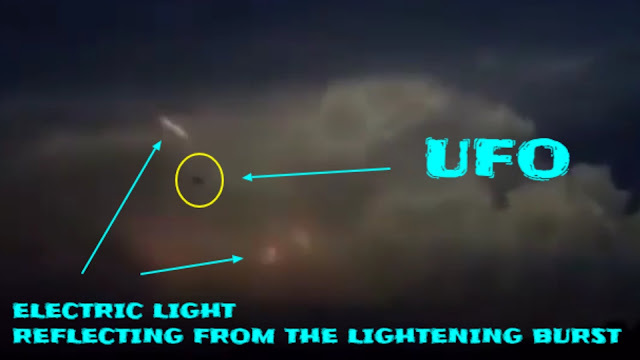 Source Reference UFO Struck By Lightening. Brown Mountain in North Carolina was the spot where this amazing UFO Mothership and it's UFO drones where spotted and then a plane arrives to check it out but before it can and just before it get's to close it emits a strange round shield like glow and vanishes. 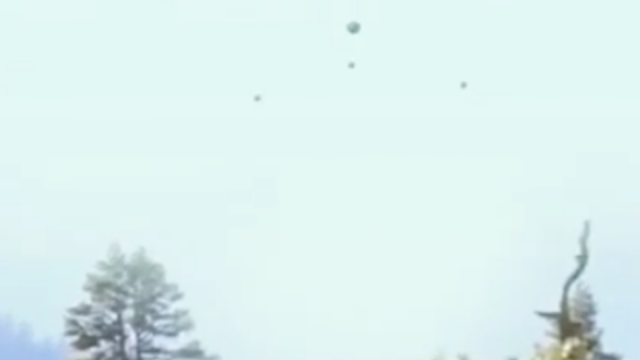 Brown Mountain has had many unusual lights flying in and around it for years but this UFO Mothership is absolutely stunning as it (the video) shows us smaller UFO drones or Orbs actually going inside the bigger Mothership and then it vanishes. That's an amazing and very, very futuristic "technology wise" event to be a witness to which would have had me shouting at the very least "what the hell just happened"? 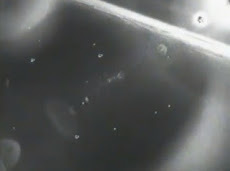 The video showing these smaller UFOs actually flying inside of this amazing Spherical Mothership UFO is on the face of it stunning. 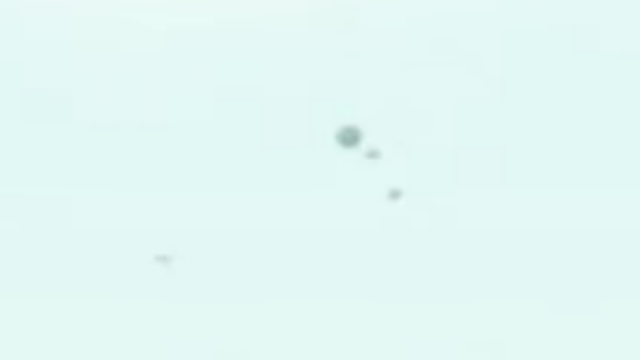 But guys as we can see the glow gradually get bigger around the Sphere UFO Mothership and then it suddenly vanishes well, that seems very bizarre to me! 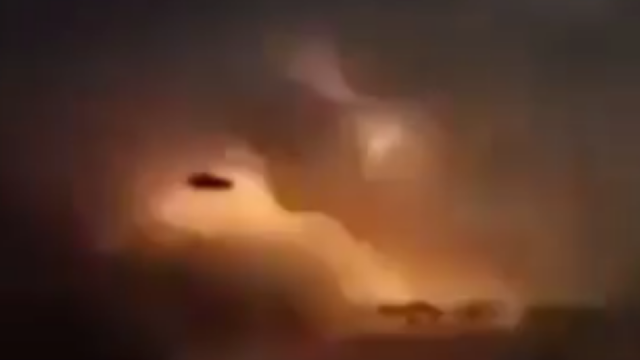 I'm not saying that this is fake but because of that bit where we see the actual Mothership just vanish and especially we're we see the glowing shield it makes me really doubt this is a genuine UFO encounter. 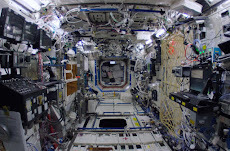 That thing could be Alien in origin because there isn't any drones as yet that can actually take on board other smaller drones like it does in the video - so yes that bit is unique and then suddenly vanish with them stowed securely away in it's cargo bay area, that too is also a unique thing. Please share this video and lets get some answers guys. I need to know as this is bugging me big time. I'm sure with the knowledge that people have who are in to Ufology that there's a strong chance that we will get the right answer at some point? But yeah, wow what a video though guys. It is stunning if true. Source Reference Wikipedia Brown Mountain Lights. Here's some alleged footage of the recovered debris by the military from the famous or infamous (however you look at it) Roswell UFO crash site which happened in New Mexico in the United States, allegedly. 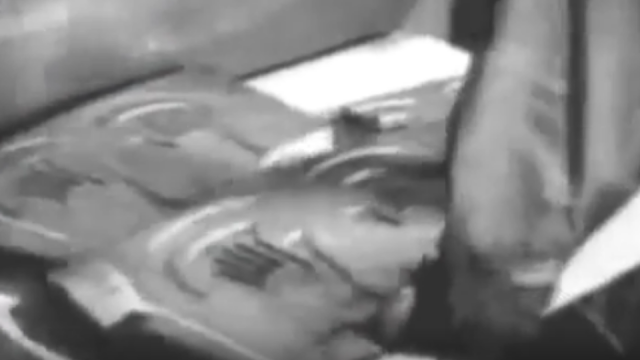 This is a video showing what looks like or appears to be an Alien hand print impression where the "UFO Pilot" would put it's (oddly shaped with 6 fingers) hand and it would probably be able to steer the craft or at least control the headlights lol. I'm not sure about this as I really did think that the Aliens aboard the thing where small, and that they where three fingered Aliens? Seriously, I could be wrong but there's something I don't quite get about this? What are your thoughts on this or what else do you know "for sure" about this? 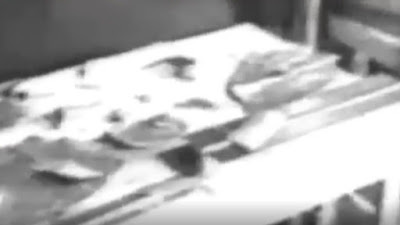 Rare Debris Footage Roswell Ufo Real Or Hoax Video What Do You Think? That is all it says? Nothing about where it is from, who got it or why it exists? Was it leaked as part of the military press office, was it originally recorded like a news bulletin but eventually scrapped and later leaked? I'm saying this because I vaguely remember seeing something about this but a while ago. The writing symbols on the edges of the blocks of what look like gold or some metallic material is intriguing though. Because I really don't know as much as I probably should about the Roswell UFO incident that's probably why I haven't seen this before? I don't know enough because I really don't find the Roswell UFO incident at all "interesting". 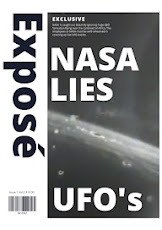 It's way to mainstream, it's way to pushed by the government ex employees, it's always pointed out in National Geographic TV shows and it just feels bogus. 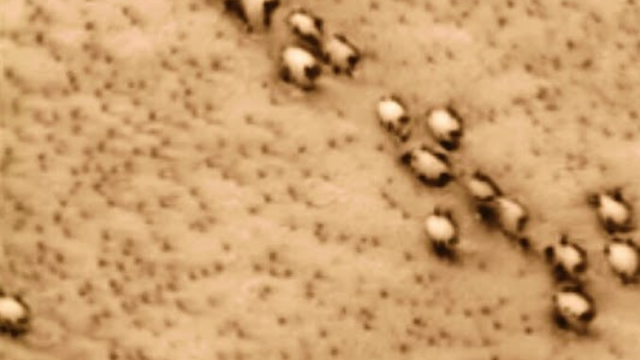 It's the go - to story for any and all Ufologists! Yeah well, not for this one at all. I think the Roswell UFO incident was the red flag incident to wake people up to the fact Aliens are real. But that the Aliens they recovered are real or not? Even the facts about Roswell are sketchy at best. Area 51 is a secret but everyone knows about it? 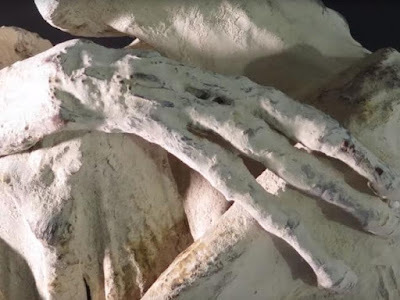 Nothing relating to Roswell, Area 51 or three fingered Aliens (now they have 6 fingered hands) and I mean none of it makes any sense and I really do believe it was ALL DESIGNED THAT WAY on purpose. If you want any specifics about the Roswell UFO crash site then I recommend you just stick with your own beliefs because the information one day is good then the next it is rubbish. It's been like that since they found the thing, allegedly. 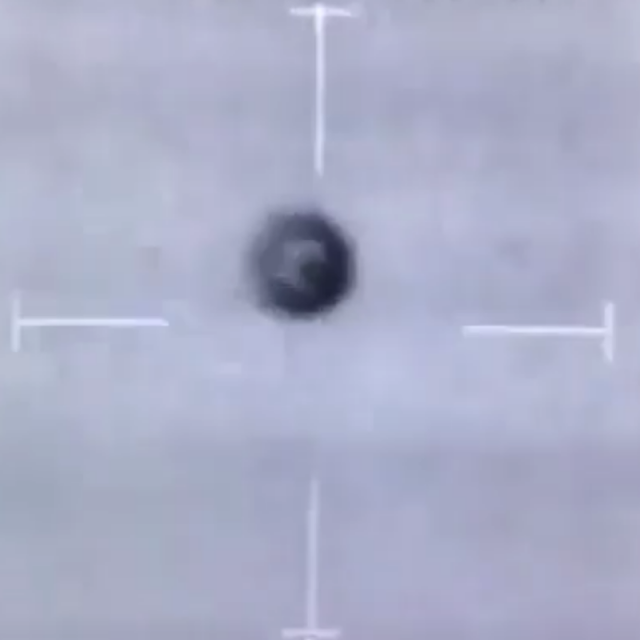 This is a compelling UFO video which is a Military video in infrared, heat vision and normal vision showing us a UFO which they seem to be tracking. 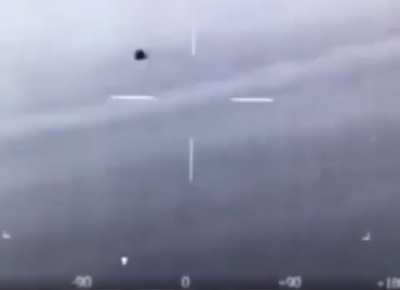 This is not the Chile UFO incident recorded by the Chilean Air Force (the one released recently) but rather one which has no information with it at all. That can be found here. The cross hairs are way to big. We are trying to figure this whole amazing video out and what the numbers and lettering at the bottom of the video are? The person who either leaked this video or released this video had probably recorded it on a smartphone facing a PC screen. If you know what they all stand for please leave a comment, cheers? 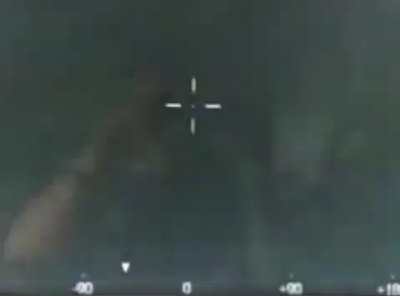 I say this only because at 32 seconds in to the video we see a reflection in the screen (when the video stops briefly showing the UFO) of what looks like "two Military personnel" with binoculars. Or one of them is on a landline telephone and I think they are either looking at the UFO on a screen (probably not but they could be) or they're both in a military situation room near to some sort of operations area - as they are, like I say, looking through binoculars. I think it's safe to say that this was leaked rather than "given" to the wonderful people of the press? I think this was recorded on to a smartphone covertly and leaked that way? But I could be wrong and this whole thing is an elaborate hoax, but considering that there's been no widespread push of this video I think that to is also safe to say "highly unlikely"? 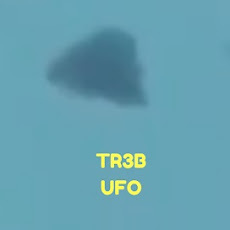 This is a really detailed UFO which shows us a definite circular shape with a step like bulbous middle formation. 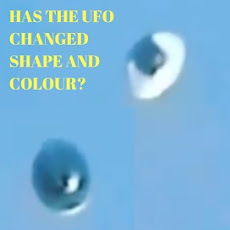 The UFO itself is metallic, it's grey in colour and could also be called a Flying Saucer? When the camera operator is keeping up with this Unidentified Flying Object we see him or her switching from infrared to heat vision and to normal vision and tells me there's more to this UFO sightings footage than meets the eye and that this is absolutely real. I mean where do we stop guessing and making assumptions and just say either yes or no? Where do do stop and say that is real, or that this is absolutely ticking all the right boxes? Well, I am doing that right now and I'm saying that this is probably real! Of course we cannot 100 percent right, that's impossible as there is not Alien to verify it or even if the government came out and said yes it's an Alien craft - we would "still" need an Alien to verify it because as we all know that the government lies and just because we want this to be real we shouldn't take their answer either way. 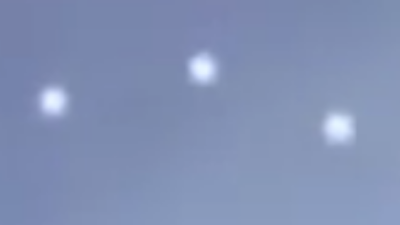 This is as strange as it gets, three white UFO Orbs are being led by a larger white flattish round UFO or Flying Saucer shaped UFO over the mountainous regions of Chile. This was filmed with a poor camera but the consistency is there for a real event because this has ticked the boxes so to speak and have not flagged any suspicions that's why I'm posting about this. 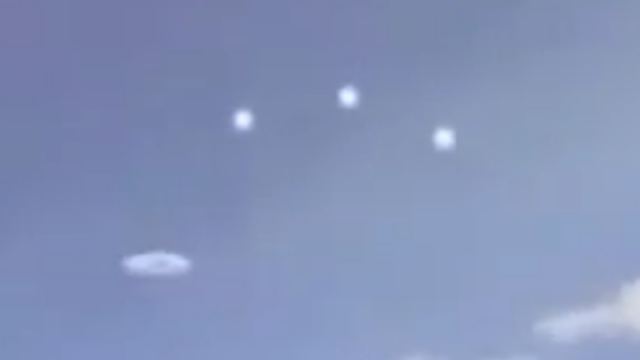 Close up of the three Orbs. It is in Chile where some of the most exciting and real UFO encounters are taking place, but why I don't know? 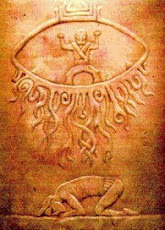 There is speculation about the sparsely populated region s giving Aliens and UFOs the freedom they need to study the Earth. 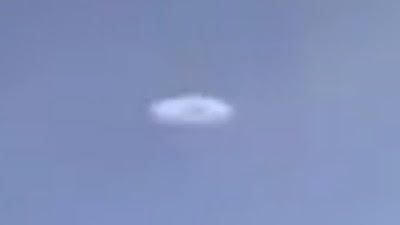 Close up of the large white circular UFO. Chile always tops out as the best place to spot a UFO. Maybe it's the fact that it's one of the least polluted places on Earth or the fact that the people don't tell anyone when they get abducted by Aliens (who would right)? Being ahem, "examined" by Aliens wouldn't be the subject of talk at my dinner table I can tell you that now! For real. Chile is often mentioned as the country with the highest recorded number of UFO sightings. Due to its low humidity, high altitude ridges, and clear skies with little pollution, Chile has become a favourite among UFO-seekers from around the world. The country has even launched the CEFAA (Committee for Studies of Anomalous Aerial Phenomena (CEFAA), a government body which investigates UAPs (Unidentified Aerial Phenomenon) under the control of the Chilean Air Force. 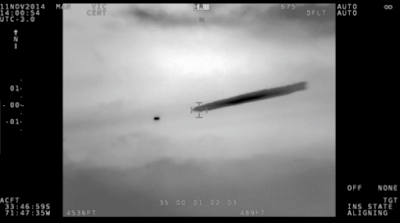 Not long ago the Chilean government and their air force released that amazing and ground breaking UFO video where the Jets where following the UFO (I'm sure you remember that one) and the video was in night vision? 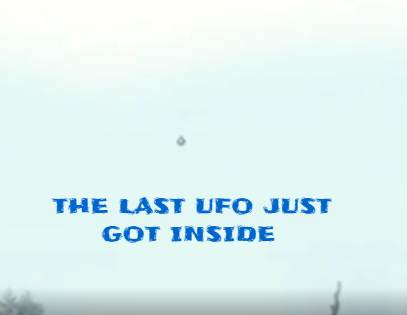 Image from the declassified UFO video from the Chilean government. This UFO was Top Secret for ages, but seriously what has it really changed since it was declassified or released to the general public? I'll tell you what it's done, absolutely nothing at all. Nobody is crying in the streets, anarchy hasn't been raining down from the rooftops and not one question has been asked in any government assemblies around the world as far as I know. 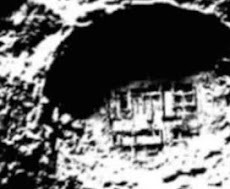 Source CEFAA - Committee For Studies Of Anomalous Ariel Phenomena Chilean Government. Source Reference Chilean Air Force Wikipedia. Source Reference NARCAP - National Aviation reporting Center on Anomalous Phenomena.